Half-human and half-Wyr, Pia Giovanni spent her life keeping a low profile among the Wyrkind and avoiding the continuing conflict between them and their Dark Fae enemies. 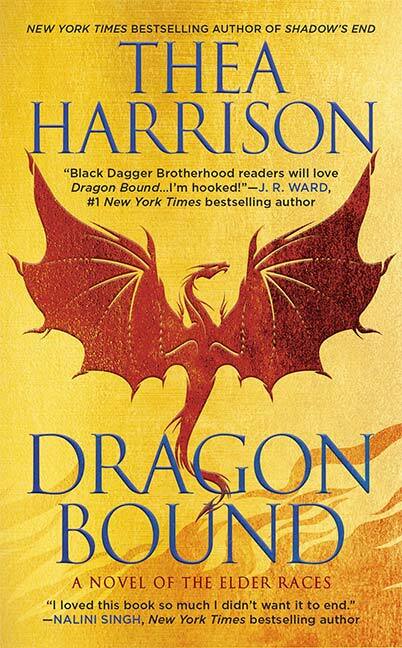 But after being blackmailed into stealing a coin from the hoard of a dragon, Pia finds herself targeted by one of the most powerful–and passionate—of the Elder Races. As the most feared and respected of the Wyrkind, Dragos Cuelebre cannot believe someone had the audacity to steal from him, much less succeed. And when he catches the thief, Dragos spares her life, claiming her as his own to further explore the desire they’ve ignited in one another.